Description: On Target - Commercial and residential income property analysis software for the investor and the real estate professional. Description: Real Estate Productivity for Commercial Application is a contact management program combined with eight relational databases designed to track commercial real estate data. Description: PHP REC is a fully scalable turnkey PHP MySQL real estate script allowing site administrators to charge members to list properties. 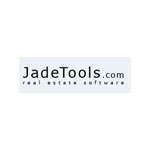 Description: Jade Property Suite is software for managing and marketing your real estate listings The software allows you to generate a complete listings section for your website, to instantly print real estate brochures and flyers and to send PDFs by email. Description: Investment analysis software is an affordable and easy-to-use real estate software cash flow tool that helps investors and real estate agents choose the right investment properties. It is designed to help you know if you should buy, sell, or if you should just keep looking. Description: With intuitive solutions designed to work the way you do, Intuit Real Estate Solutions (IRES) provides the maximum return on your technology investment. Property management software designed for owners/managers of residential properties. Description: Commercial Industrial Development (or "CID") is generally used for a single building or group of buildings. CID is flexible enough to handle all of your development analysis needs: apartment buildings, self-storage facilities, warehouses, strip centers, commercial condos and more. Ideal for all Real Estate Professionals, and designed for residential real estate. 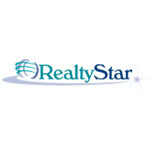 Well suited for Realtors who are designated ePro professionals. The first real estate software package any new REALTOR® should invest in. Contact Management and Listings Management, Activity planning and email drip campaigns help you stay on top of your business and your client follow up. 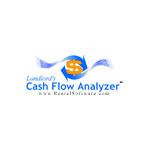 Our investment analysis software is an affordable and easy-to-use real estate software cash flow tool that helps you as an investor to choose the right real estate investment properties. It is designed to help you know if you should buy, sell, or if you should just keep looking.